My DMU Chart is a secure patient website that allows you to keep in touch with your DMU Clinic providers and view your clinical information any time from your computer, smart phone or iPad. 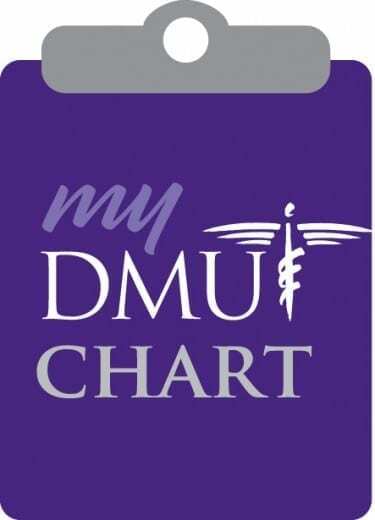 My DMU Chart helps you better manage your health by putting it at your fingertips. For medical records, log in to My DMU Chart or call (515) 271-1703 or fax (515) 271-1726. Your DMU health care team will help you set up your free My DMU Chart account so you can take a more active role in your health and wellness. Need help with My DMU Chart? Give our support line a call at 515-271-1707 or view our instructions handout (pdf).